Nowadays, looking for an air conditioner is not as difficult as it used to be. There are plenty of different establishments that offer various air conditioners at a decent price range. Because of this, you no longer have to suffer from the summer heat when you have a rusty and broken down air conditioner in your home. You can simply visit a store and pick out the right air conditioning system you can use to replace your old one says https://truetempairconditioning.com/. A good thing about buying an air conditioner now is that these units have now been required to meet a standard ENERGY STAR 4.0 rating. With this rating, the maximum power use of air conditioners is 10% less than the older models prior to the date that this standard was implemented. Because of this, room air conditioners have been able to lower operational costs as opposed to what central units offer. The size of your room. One of the most important things you should consider when you are purchasing an air conditioner is to know the size of the room. This is an important factor to consider since your air conditioner's cooling capacity will depend on how big or small the space that it needs to cool is. While there are people who think buying a large air conditioner will provide them better cooling, it could actually be less effective for them and would be more costly for them. 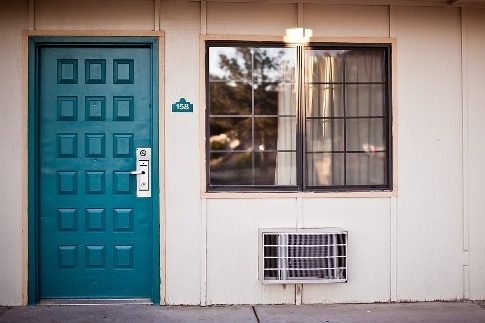 The general rule for air conditioners is that each square foot of living space needs 20 Btu (British Thermal Unit). You can measure the size of your room by multiplying the length by the width in order to determine the Btu you will need. However, you also have to factor in a number of considerations such as the ceiling height, size of your windows, and where you will be installing the air conditioner. If installing the air conditioner in a heavily shaded room, reduce the capacity by 10 percent. If installing the air conditioner in a sunny room, increase the capacity by 10 percent. If the air conditioner is to be installed in a kitchen, increase the capacity by 4,000 Btu. If there will be more than two people who will be occupying the room, add 600 Btu for every extra person. Knowing the Energy Efficiency Ratio (EER). Another thing you should consider when picking out an air conditioner to buy is the EER of the unit. This is the ratio of the unit's cooling capacity to the power input. The higher the EER rating of the air conditioner is, the more efficient it will be. You can look for the EER information on the EnergyGuide label on the unit. The recommended EER rating is at least 12, along with the Energy Star label. Once a unit has an Energy Star label, it means that it has met the strict energy efficiency guidelines that the U.S. Department of Energy and the U.S. Environmental Protection Agency have set. Knowing what type of air conditioner works best for your home can make a huge difference. Other features to consider. Air conditioners being sold in the market today all come with a number of other features. But of course, the more features it includes, the more expensive it will be too. You have to carefully assess each of these extra features if they are something that you truly need for your air conditioning system at home. Otherwise, you might end up paying for features you won't even get to use. Once you've picked out the right air conditioning unit you will be buying for your home, the next step is to hire someone who will install the system in your home. In most cases, this can be a very technical procedure and will require the help of a professional, which is why you should hire one. A licensed professional can help you pick out the best position for your air conditioner so you can make the most out of your investment.